One challenge the logistics sector faces is, well, finding new faces. While the U.S. recession largely suppressed a dormant truck driver shortage, the prospects of economic recovery are stirring old concerns. Adding to the problem, recent government mandates including the Federal Motor Carrier Safety Administration’s Hours of Service and Compliance, Safety, Accountability rules threaten to shrink the available pool of qualified drivers, and complicate recruiting, training, and retaining valued employees. 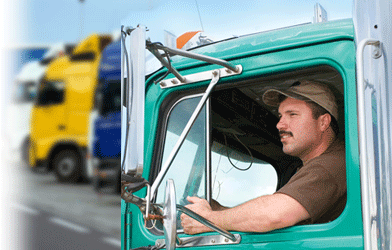 Creating a proactive corporate-wide program for recruiting drivers brings a number of benefits. It demonstrates a company’s commitment to human resources, as well as customer service. Service providers and private fleet owners can use such investment as part of their value proposition to customers. Increasingly, the human asset is becoming just as important as the physical ones. Highlight driver job benefits. It is important to highlight and celebrate the corporate culture, values, and benefits that make working for your company great. Managers need to be aware of everything the company has to offer, and communicate those advantages to existing drivers and prospective hires. Talk about compensation. Two-way communication must exist between management and drivers so all parties understand performance expectations, and share in both successes and failures. Silence breeds speculation and unease. Have managers regularly review location pay studies and current monthly pay averages for drivers to help set goals and provide incentive. Know your drivers’ weekly and annual gross pay—and ensure they are aware of how well they are compensated for providing great service to your customers. For new employees, set expected weekly hours and annual pay range for their first year of employment. Design your pay packages to make sure drivers make enough money, so they won’t be lured by competitor claims of better compensation. Know the competition. Drivers won’t know how good their job is if you don’t. Evaluate how industry at large compares in terms of hours, benefits, and pay. Develop a target list of competitors in the local market, organize by priority—whether it’s vertical, services, or individual company—then narrow your research focus. Once you know who you’re competing against for drivers, develop a plan for acquiring competitive pay/benefits data—i.e., managers surveying drivers to gather information about past employment, and talking with business partners and customers. With this level of local market analysis, you can better understand where capacity stands and whether you are positioned to stay ahead of the curve. Invest in recruiting. It is difficult for companies to simply rely on newspaper ads and word-of-mouth referrals to fill their driver needs. You have to become more creative and resourceful in how you target new hires. Consider circulating around truck stops referral flyers and cards that detail the benefits your company provides versus the competition. Also educate your drivers on how they can screen potential applicants and increase their chances of earning a referral bonus. Drivers can often be the best recruiters. This entry was posted in Recruitment Strategy, Specific Positions on February 27, 2015 by ZFR. Reality check! Are you aware that recruiting has changed? 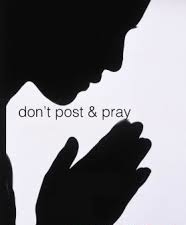 Gone are the days of “Post and Pray”: where you post a job listing and wait for the swarm of candidates to come a runnin’. Today’s recruiters have bigger, better technology but we also have a veritable fire hose of candidates to deal with. The baby boomers are retiring in droves and while we have a large market of graduates stepping up to the plate, we are still seeing candidate shortages across the board. Let’s get something straight: posting a quirky job listing is a far cry from using recruitment marketing in your recruiting strategy. It is no longer enough to slap a mission statement on some branded frisbees, companies are stepping up and presenting their own unique experience to candidates in a competitive fashion. This is not about gimmicks or tactics, it’s about a total strategic effort that begins with recruiting. How will a candidate be treated by their manager? Their team? Their executive? Once you are in tune with what you have to offer, you need to align it with what your target candidates really want. You can’t do that without research. Demographics are playing a huge role in how employers craft their branding initiatives nowadays and the findings are not only surprising to even veteran researchers, they are changing on a regular basis. Know your target market: What might work for some, won’t work for others. Does your set of candidates put an emphasis on social media freedom, salary, vacation time, or something as small as dress code? Know what they’re looking for, and let them know you offer that. Present an all around brand experience. Even before the interview, the candidate should have a clear picture of your company culture and employer brand. You should be blaring your message on social media, job listings, your website and employer branding videos. This all ties in to recruiting the right people for the right job and creating a synergistic work environment. Strategic communication is crucial during the employer branding experience. Keep it real: Yes, a big part of this process is to attract the talent that you want and need, however, be honest about what you really are. Don’t present a 9-5, suit-wearing, clock-punching business as a fun-loving, jeans-wearing environment. The goal here isn’t to misrepresent yourself in order to get those great candidates, it is to present yourself in the best light and let them know what you can offer them. If you are rigid and demanding, that’s okay. But you need to ensure that you balance it with the positive sides of that equation, like ambitious, driven and unparalleled. Don’t forget the website! The website is hugely important in candidate experience, especially the latter stages. We don’t so much as walk into a burger joint without yelping it, you know they’re going to be all over that website. Make sure that it is authentically representing you. It’s not enough to have a nice, easy to navigate site, your career portal should really reflect how you wish to be seen by candidates and in turn, show them what it’s like to work for your organization. How do you do this? By taking advantage of how simple it’s become to take pictures, upload videos and write posts about the burning questions in your candidates’ minds. In this new climate for recruiting, employer brand plays a huge role. This new workforce has a, “the ball is in my court”, mentality and it’s showing. They will hold out and hunt around until they find what they’re looking for. Are you it? This entry was posted in Recruitment Strategy, What NOT To Do on February 20, 2015 by ZFR. “Death by interview” is the harsh but unfortunately all-too accurate name given to the majority of corporate interview processes because of the way that they literally abuse candidates. Death by interview is worth closer examination because harsh treatment during interviews impacts almost every working American, simply because each one of us is subjected to many interviews during our lifetime. The hiring interview shares a love/hate status, where even though applicants initially hope to be granted an interview, once they are finally notified, they almost universally undergo a wave of stress and painful memories that causes them to stop looking forward to them. Every job applicant understands the need for interviews, so the pain point occurs when an excessive amount are required. The CEO of one well-known technology firm dictated that every candidate for every job undergo an astonishing 17 interviews. Of course no one knew how or why he arrived at that outrageous number of interviews. Google is another firm that has justifiably earned a reputation of demanding a double-digit number of interviews. Its justification was that because hiring impacts everyone that the new hire interacts with, “everyone at the firm should be able to interview a candidate.” Fortunately, its well-earned death-by-interview reputation forced Google to eventually conduct internal research that demonstrated that “after four interviews, you get diminishing returns.” And since Google is interviewing for positions that require advanced skills and innovation, it’s time to realize that for most jobs, any number beyond three interviews is probably unnecessary. Obviously when the optimal number of interviews is exceeded, not only does the firm receive little additional value, but each of the candidates must suffer unnecessarily. Stress — Excessive interviews that are stretched out over a long period of time result in a long, stressful wait, which in turn places unnecessary pressure and discomfort on both the candidate and their family. Forced lies – If a candidate is currently working or if they live in another city, going to multiple separate interviews requires them to make many phony excuses or even lie to their boss in order to get away for each interview. Lost wages — If the candidate is paid hourly, each interview and its related travel time forces a candidate to lose significant wages. Even if they work in a salaried job, frequently missing work will likely hurt their career. Firms suffer too — Holding an excessive number of interviews will not improve hiring decisions but it will waste both manager and recruiter time. And when applicants post negative messages about your interview process on the Internet, death by interview will eventually damage the firm’s external image and future recruiting. There is no legal requirement that requires a firm to conduct a series of interviews with each candidate. Instead, fear is often the reason for so many interviews. This fear of a hiring mistake causes most to support continuing interviewing to the point where every doubt is minimized. Unfortunately, because interviews have a low predictive value, no number of them will guarantee that the individual is a perfect fit. The second major component of “death by interview” occurs when subsequent interviewers inexplicably ask the same question that the candidate has already answered during a past interview. Over multiple interviews, repeatedly being asked the same question is confusing to the candidate. One firm that had the wisdom to survey applicants about the interview process found that candidates were frustrated and even angry about repeat questions. The survey further revealed that the repetition gave candidates the impression that the firm’s management was uncoordinated and disjoined. A feeling of failure — In addition to the obvious confusion and frustration, asking the same question over and over can make candidates feel like they answered the question incorrectly the first time. This could cause the candidate to change their answer when a question is repeated, which would provide hiring managers with contradicting information and that could make a hiring decision less accurate. Appearing unorganized – Repeating the same questions can send a message to candidates that the corporation is not organized. Another practice that may make the organization appear to lack organization occurs when interviewers ask questions whose answers can be clearly found right in the provided resume. Together these practices may create a negative image that may cause candidates to drop out of the recruiting process prematurely and if criticism of the practice reaches the Internet, it may also reduce future applications. Less information provided – Obviously repeating interview questions means that fewer new questions will be asked. Asking fewer questions means that less “new information” will be added that could improve the hiring decision. Different interviewers repeat the same question often because interviews are not structured, planned, scripted, or coordinated. No one in HR assigns specific questions to the different interviewers, based on their expertise, nor does anyone in HR track which questions were actually asked. Corporate interview manuals that suggest sample questions can also make it too easy for every manager to simply ask the first questions that appear on the sample list. The final factor that causes interviews to be painful is the amount of uncertainty that the candidate must endure. The abuse occurs when candidates are unnecessarily kept in the dark about the interview process and what is expected from them during it. Uncertainty causes frustration – Uncertainty surrounding what to expect during all aspects of the interview may cause the candidate many unnecessary sleepless nights. Areas of uncertainty that could easily be cleared up include: What are the steps? How long will the process take? What skills they are looking for? Which individuals will be doing the interviewing (and their role) and who will make the final hiring decision? Transparency is expected – Many candidates, especially those from the new generation, expect a high degree of corporate openness and transparency. As a result, failing to provide a great deal of upfront information may cause some candidates to prematurely drop out of the process. Uncertainty in feedback – The high level of uncertainty is often continued when the firm fails to provide timely feedback to candidates. If an inquiry to find out their progress or how to do better next time gets an unsatisfactory response, they may permanently give up on the firm and advise their friends and colleagues to do the same. There is no legal restriction that prohibits companies from telling candidates upfront about every aspect of the interview process. Instead, purposely keeping candidates in the dark serves the purpose of allowing unprepared hiring managers the opportunity to “wing it” throughout the interviewing process. It turns out that if you promise nothing, there is little chance that you will be challenged for failing to meet your promises. This uncertainty is possible because most candidates are relatively powerless, so they have few options but to unquestioningly endure. When it comes to the issue of a lack of feedback, many in HR are adverse to conflict, so they routinely refuse to provide information that may raise further questions, conflicts, or even legal issues. “Death by interview” is a corporate practice that is worthy of a conversation during corporate recruiting meetings, simply because most of the pain is unnecessary. If recruiting leaders are to understand and limit “death by interview” they first must gauge the problem and increase awareness by developing metrics covering total interview time, interview question repetition, and candidate frustration levels. Some might mistakenly assume that death by interview and improving the candidate experience are less relevant today during a down economy. But it is a major mistake for corporate leaders to make that assumption, because if they do, their corporation will pay a heavy price after the “war for talent” returns and the power begins to shift over to the candidate. Using any customer service standard, the typical corporate interview process simply fails to make the grade! This entry was posted in Interviewing, What NOT To Do on February 18, 2015 by ZFR. One of the key qualities expected of the leadership in any organization is the ability to make the right hires. A giant company like Yahoo may be able to afford to switch CEOs every other month, but it is a critical exercise for a startup or small business with 10 or so employees. Even a single hire gone wrong can badly screw the pooch, so to speak. 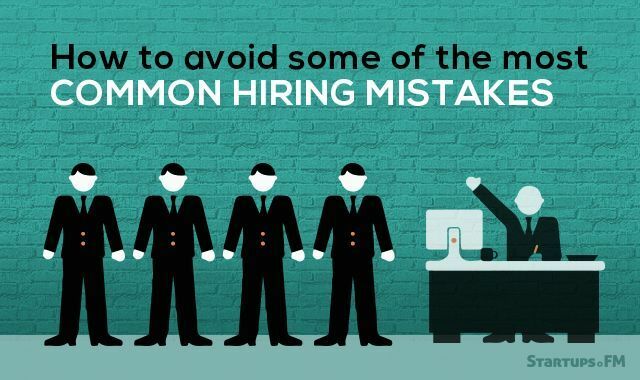 Below are some of the hiring mistakes employers often make, along with suggestions for avoiding such pitfalls. If you don’t properly explain what the new employee is supposed to do, it reduces the chances of getting applications from candidates that are ideally suited for the job. The solution is simple – Take the trouble to provide a detailed job description. Employers may also solve this problem by offering higher wages and better benefits to lure employees already doing the exact same job for a competitor. On a related note, the hiring process is not just about employees angling for a job, but also about the employer hoping to snag a valuable employee. In order to attract the best talent, a company must sell itself as a brand that offers good career prospects and the chance to contribute and learn while being a part of an exciting growth phase. This calls for a balanced exchange during interviews, which must be structured as a conversation rather than a pop quiz. Many companies leave most of the spadework to the HR people, with departmental heads coming into the picture only for a single final interview. It would be much more beneficial to include at least one key person from the department in question right from the start, so that high-potential candidates can be identified by those who recognize the significance of what they see on a resume or CV. By the same token, phone interviews or web chats conducted by an industry professional in the same department can easily cull out the inflated resumes. Another thing that often trips up the hiring process is the timing. Initiating the process without being in a position to invite the chosen candidate to start work immediately is a big mistake. Candidates left hanging will start looking elsewhere and the entire effort could be wasted. The solution – Do not start look for candidates until you are ready to put the new hire to work. When looking for potential candidates, it’s not always helpful to cast a wide net every time. In fact, it’s much more beneficial for team morale and employee retention levels to promote internally. Startups that don’t have this luxury should ask existing employees for referrals, which would ensure that the new hires would have at least some past association with team members. Following some of these suggestions may seem like a waste of valuable resources at first, but it will pay off quickly if the new hire fits in like a duck takes to water. This entry was posted in Hiring Mistakes, Recruiting for Startups on February 12, 2015 by ZFR. If you’ve read it in a blog post once, you’ve seen it re-tweeted, re-shared and re-posted 1,000 times. Recruiting=marketing. Or to some degree, recruiters should adopt elements of marketing into their strategy for continued success. 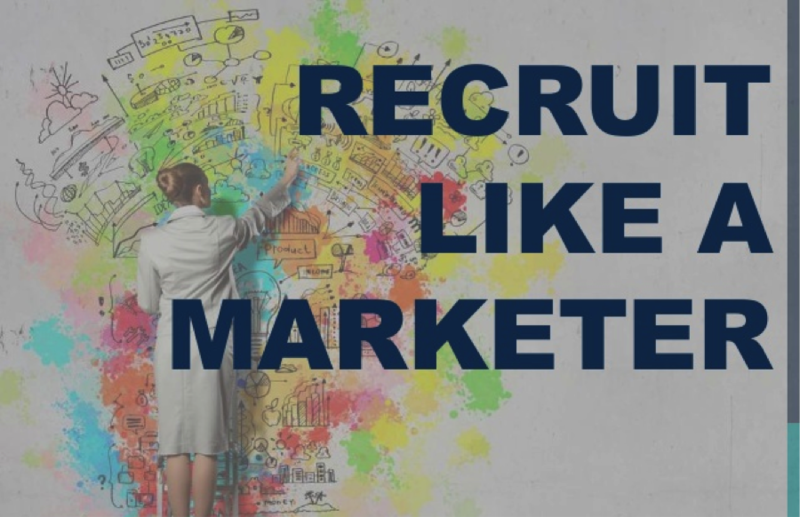 But with the average recruiter already wearing multiple hats—sourcer, recruiter, account manager—asking them to tackle marketing while they’re at it feels like an unfair request. Your recruiting and marketing departments both play a vital role in advancing the mission of your organization. Elements of marketing are finding their way into more recruiting practices. Your recruiters are already spread thin and while they would like to deliver on these marketing initiatives, they really don’t have the time. Recruitment Marketing/Employment Brand Manager: This person is the vital link between your recruitment department and the consumer brand. Their greatest responsibility is building relationships with other department leaders—Corporate Communications, Consumer Marketing, Social Media, etc.—and ensuring your employment brand is operationally aligned. They need to have a strong understanding of the organization’s long- and short-term vision, and be able to tie it back into strategic marketing campaigns that support workforce planning and deliver the right people at the right time to meet business needs. Digital Strategist: Lead generation is the goal of any well-crafted B2B or B2C marketing campaign. In the recruiting world, lead generation = top-of-the-funnel candidate pools. This core player in your recruitment marketing department is responsible for helping to identify the digital playgrounds your talent hangs out in and getting them to visit the swing set in your neighborhood. Expect them to touch SEO, Google AdWords, retargeting and any other paid online media that drives qualified candidates back to your job postings, landing pages, and talent community opt-in forms. Social Media Coordinator/Talent Community Manager: This person is your Recruitment/EB Manager and Digital Strategist’s best friend. In their role, they will touch any/all social media properties tied to talent acquisition. They’ll plan your content distribution calendar, measure sentiment, and promote your employment brand across relevant social properties. Additionally, they’ll nurture the leads brought in by your Digital Strategist and utilize CRM technology to foster your talent community. Creative Designer (graphics/light video): Content is the vehicle that drives awareness of your employment brand, and you need someone who can translate your brand into visually engaging messages for your candidates—think social media headers, banner advertisements, recruitment videos, and branded email templates for your ATS. Top candidates are presented with a lot of noise—they aren’t going to spend time on a message unless they are drawn to it, and the pull usually begins with the right creative design. Reporting /Financial Analyst: The Reporting/Financial Analyst researches, analyzes, and completes reporting of all talent-acquisition activities—including your marketing efforts. Additionally, they are responsible for maintaining and monitoring the data results and relationships between the talent acquisition team and vendors supporting the recruitment process. They will drive reporting, auditing, and forecasting to identify and address key talent challenges and initiatives, help you understand the ROI of your investments/initiatives, and connect the data to the bottom line of your business. Whatever positions you decide to hire with those extra dollars, make sure they are positions that contribute to the most important goals of your business. This entry was posted in Recruitment Strategy, Tips on February 10, 2015 by ZFR. As millennials enter managerial roles, workplace dynamics are sure to shift. The millennial generation is one of aspiring leaders: globally, nearly 70% of millennials say that becoming a leader/manager is either important or very important. This has had implications for recruiters for many years, but now, as millennials are passing through the entry stages of their careers and actually becoming managers, it will have a significant impact on the workplace dynamics. Millennials around the world are motivated to become leaders for different reasons – while high future earnings was the dominant theme globally in research we’ve done, others especially want opportunities to influence the organization. Interestingly, challenging work and decision-making power ranked lower on the list. Understand the motivations behind leadership because this will impact how millennials actually lead. Millennial managers will be looking for opportunities to change areas of the business they feel are lacking. North American millennials are also highly interested in having the opportunity to coach and mentor others — so their management style will likely be much different from that of their managers. Simply put, as a new generation of candidates enter the workforce, they will face a totally different landscape than 5 or 10 years ago. While these changes could lead to positive developments in innovation and more open office cultures, they also open up the potential for friction among existing employees who might be resistant to the change. Gen Z will bring completely new recruiting challenges and techniques. For years, all we’ve heard about is the millennial generation — but now, as millennials leave school and advance in their careers, recruiters will inevitably shift their attention to Gen Z. 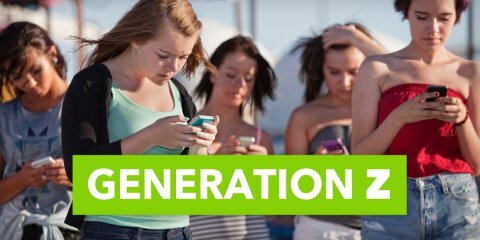 People have already begun speculating about what Gen Z is like, and how this generation is similar or different from the millennial generation. According to general data on this group, Gen Zers are more mature, more independent, and more diverse than their millennial counterparts. They are entrepreneurial and eager to make a difference in the world. They are also accustomed to communicating in short bursts and have low attention span. Social media: The more you need to be active, the harder it will become. We all know that talent is on social media — and if you’re not, you’re missing out on the opportunity to talk to a key talent pool. Employers know this, yet they continue to do the same things: thinking more content is better content, posting content that doesn’t resonate, and not understanding how candidates actually want to use social media for career content. Here’s the problem: Facebook is crowded. It’s becoming flooded with noise. The average user has 1,500 posts queued up in their account each time they log in — and some especially well-connected users have up to 15,000! The amount of businesses and content on Facebook has made it an incredibly noisy space, and if you’re posting content, you’re fighting with other companies to reach the same talent (click on the waterfall images above). To address this challenge, companies will need to become more and more strategic and deliberate in their social media efforts in 2015. Job content is not “thumb-stopping.” Your content needs to be real, authentic, data-led, and purposeful. Employers must use data to maximize the ROI on their social recruiting. This, coupled with smarter use of sponsored ads and targeting, will help employers to break through the noise on Facebook. This entry was posted in Recruiting Trends, Recruitment Strategy on February 5, 2015 by ZFR. Orthopedic groups face many challenges in providing in-office physical and occupational therapy (PT/OT) to their patients—but attracting highly skilled, motivated therapists shouldn’t be one of them. Therapists employed by orthopedic groups have an extremely high retention rate, and the vast majority report high levels of professional and personal satisfaction. The following recruiting DOs and DON’Ts should help you attract, hire, and retain talented therapists. Point out the advantages of working within your physician group, such as a stable, secure position, benefit package, ready source of patient referrals, support for continuing medical education (CME), and the ability to develop and implement new programs that are economically feasible to meet the needs of patients and the practice. Collaboration and a team approach to care can result in better clinical outcomes and higher patient satisfaction. Clarify the candidate’s position on working within a physician group. The American Physical Therapy Association has a long-standing policy against physician-owned PT and many therapists are under the mistaken impression that orthopedic groups offer PT/OT solely to profit from referrals. Pass on candidates who express any objection or voice even a minor concern. Match or exceed the benefit packages offered by other therapy practices in your area. Therapists are accustomed to receiving three weeks of paid vacation, plus paid holidays and paid CME days per year. Therapists often place a priority on work-life balance, travel, and recreation, and your benefit package should address those priorities. Offer a productivity-based bonus plan that rewards therapists who reach target levels of productivity. You may even want to consider guaranteeing a portion of the bonus for the first year of employment. Provide flexible work hours, as long as patient needs are met. Many therapists prefer a 4-day week (10-hour days) or three 10-hour days and two 5-hour days. However, patient needs—not therapist preference—should dictate the schedule and hours of operation. Give more weight to a positive attitude and strong work ethic than to managerial experience when hiring for a director position. 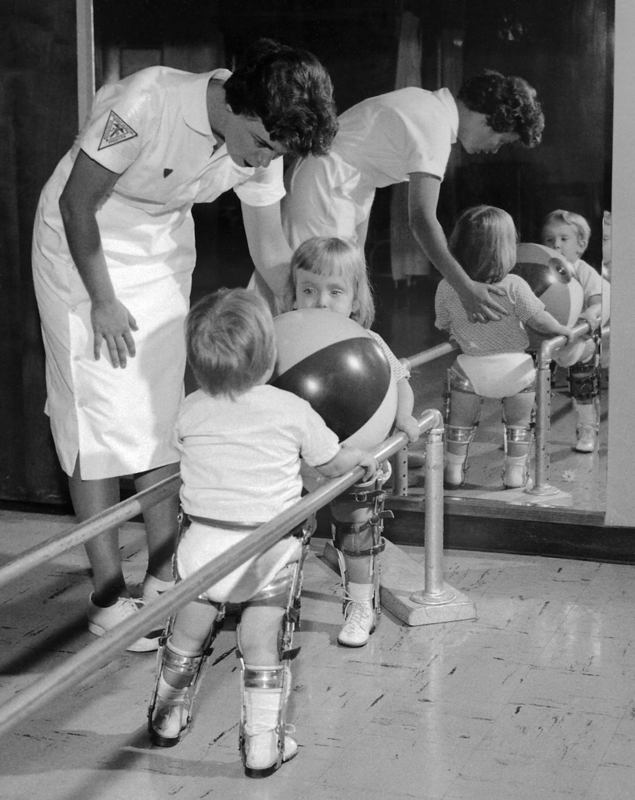 The primary responsibility of a PT/OT director should be to treat patients and serve as the clinical supervisor. Let your administrative staff handle administrative tasks. Therapy directors should typically spend about 90 percent of their time treating patients. Hire lead therapists for each PT/OT location with more than three providers. It is difficult for a treating therapist at one location to effectively manage other locations. Conduct a Fraud and Abuse Control Information System (FACIS) check. 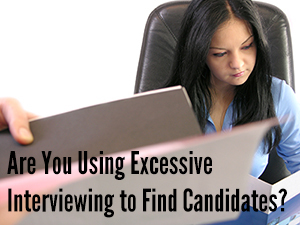 Make sure the candidate has an active license and no record of disciplinary actions. If the candidate has disciplinary complaints or sanctions, obtain copies of the complaint and all associated documents and ensure that the candidate has an acceptable explanation, can be covered by your professional liability carrier, and can be credentialed with all significant payers. Talk to at least three professional references, including at least one former supervisor. If you have three or more full-time equivalent therapists, set up a PT/OT student intern program so that you have the inside track on recruiting new graduates. If the local PT/OT school is reluctant to send students to a physician group, approach the school about changing its policy. Don’t overpay therapists. You should not need to pay more than the prevailing compensation rate for therapists in your area, and those figures should be readily available. Don’t hire a candidate to simply fill a position. Too many orthopedic groups settle for less-than-stellar candidates because they are under pressure to fill the position. A therapist who does not have good clinical and communication skills and a strong work ethic will not be an asset and can negatively impact the productivity of the entire clinic. Wait for the right candidate. Don’t (ordinarily) hire a therapist who currently spends more than half of his or her time performing managerial tasks. These candidates rarely wish to spend a substantial portion of their time treating patients. Don’t (ordinarily) hire the owner of a local PT/OT practice. If these candidates had good clinical and managerial skills, they would have developed a successful private practice and would not be looking to work for someone else. Don’t let relationships get in the way. For example, if one of the physicians recommends a therapist, the therapist should not report to that physician. A therapist who reports to a physician or goes to a physician with compensation or other employment concerns is a red flag. This entry was posted in Recruitment Strategy, Specific Positions on February 3, 2015 by ZFR.